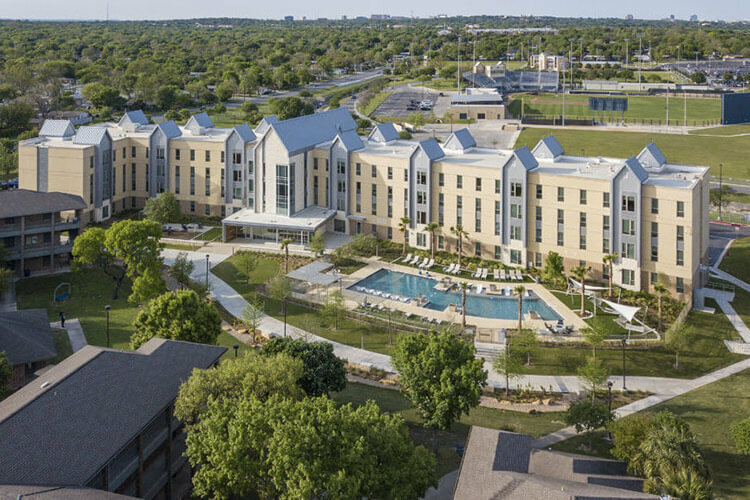 The Village at St. Mary’s is a contemporary living community and is home to the newest residence hall on campus, Périgueux Hall. 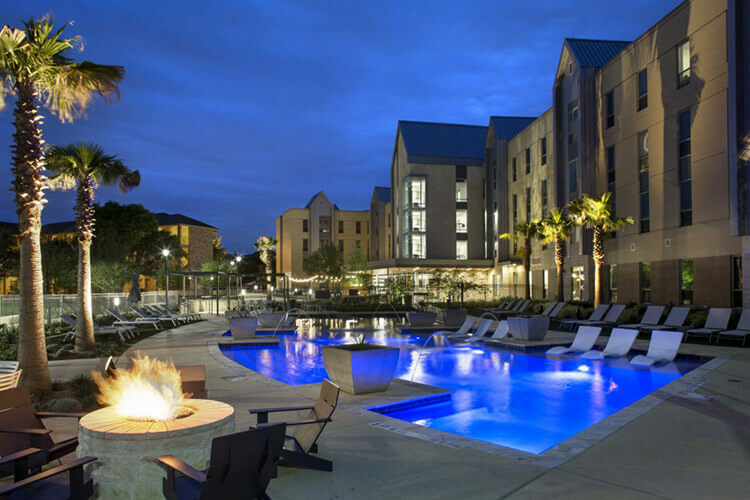 The area is made up of suite-style residences centered around shared amenities including a pool, sports courts, grill stations and picnic areas. Read more about The Village at St. Mary’s. 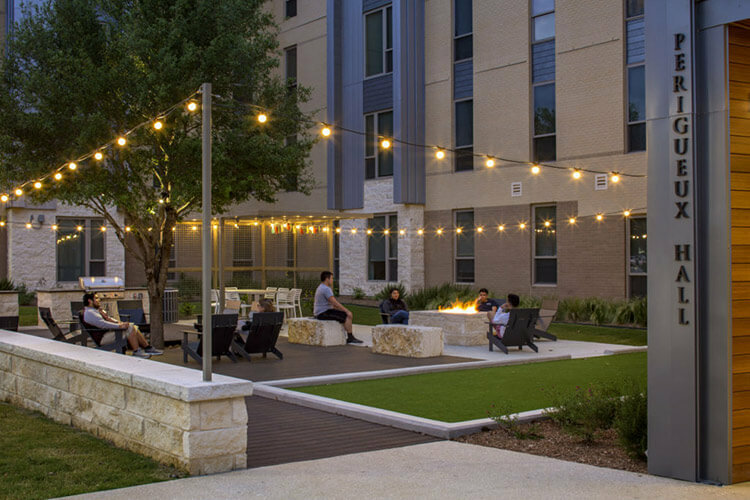 While all residents on campus are welcome to enjoy the amenities in The Village at St. Mary’s, The Village grounds include Adele, Cremer, Donohoo, Flores, Frederick, Leies and Périgueux halls.